What another great day, we visited BUNDALA NATIONAL PARK in the morning, which is one of my favourite places on the planet. The reserve consists of reed-fringed pools, open marshes, clumps of scrub and a huge area of salt-pans surrounded by dry forest. We arrived at 6am just as it was getting light and the marshes on either side of the track were coming alive. 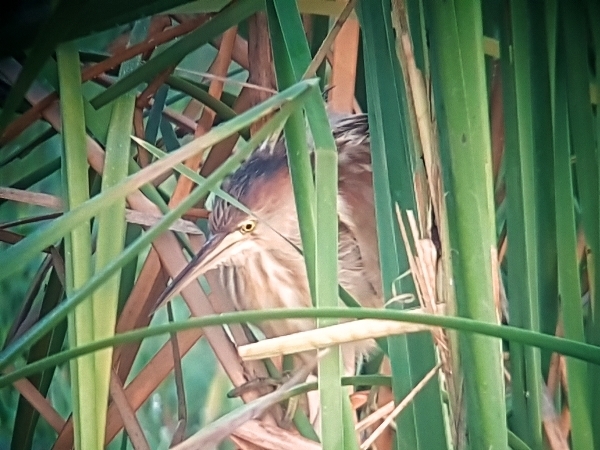 Three new species for the trip list came in quick succession, first a Night Heron flew over us then a BLACK BITTERN flew over the reed-bed right next to us and the third Species was a warbler. Saman our guide tracked it down, it was singing loudly from the reeds, it was the aptly named Clamorous Reed Warbler. At this time of the year the Watercock is usually just plain brown with very little other colour, but we found a splendid looking specimen in full summer plumage, a nice surprise. We then searched for a Cinnamon Bittern, this rare bird had been seen recently at this site, it was Cindy who found one but the rest of us failed to see it, humbug! We had excellent views of the more common Yellow Bittern and plenty of other species. 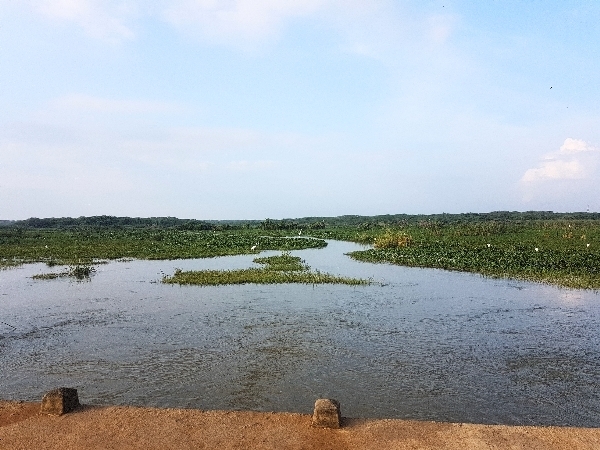 The whole area is a superb birding spot and we enjoyed 2 hours just strolling about 200 meters. At 9am we got back onto the bus and drove the short distance to the visitor's centre where we sat and ate our picnic breakfast. At the centre we had good views of White-Browed Bulbul, Purple Sunbird and several other species. We then moved on to the salt pans, in bright sunshine we spent another couple of hours touring the ‘pans' making lots of stops to scan each one. Unfortunately for us the new rules in the Park do not allow us to leave the vehicle so we had to be content with views from where we were sitting. The pans were full of birds, I never counted the species total but there must have been around 50 different species. 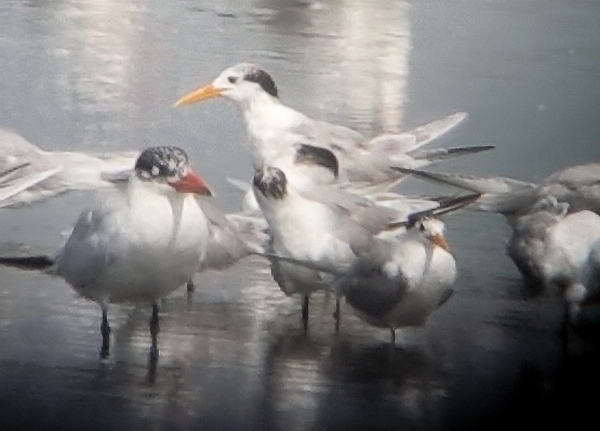 All kinds of Terns sat in large groups, the larger species such as Caspian, Crested and Lesser Crested dwarfed the Common, Whiskered and especially the Little Terns. 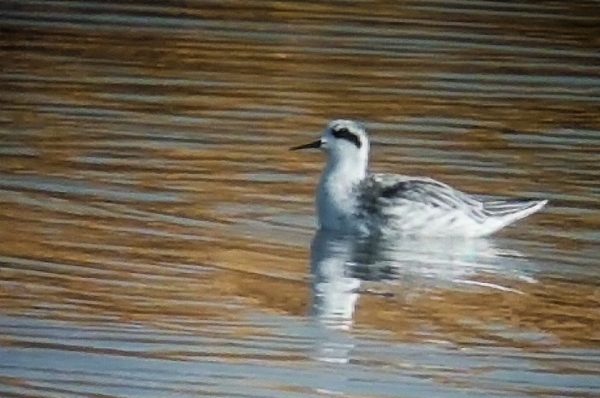 Some interesting finds included Bridled Terns, Red-necked Phalarope and Black-headed Gull. Amongst the hundreds of waders we found Temminck's Stint, Ruff, Curlew Sandpiper and thousands of Little Stints. 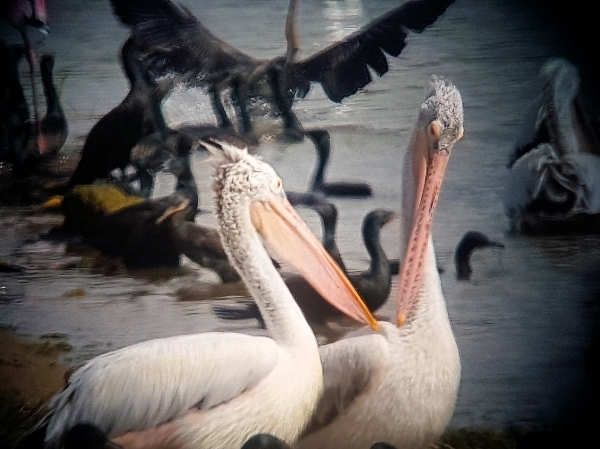 In one area we saw hundreds of Cormorants fishing with dozens of Caspian Terns diving for fish all around them, it was quite a spectacle, our best views of Spot-billed Pelican was had there too. 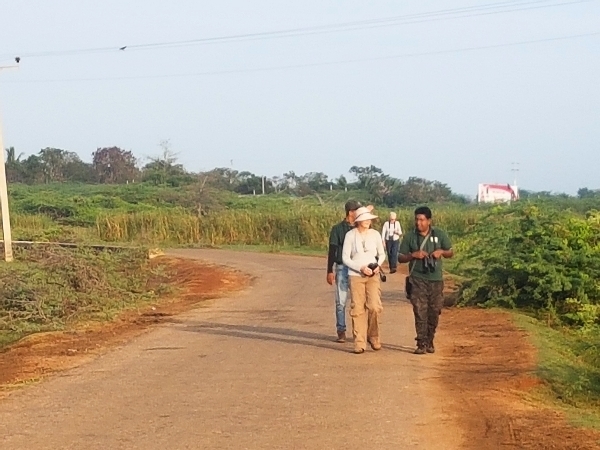 Further exploration around the scrub-area behind the pans produced a number of other interesting sightings, the best by far was the relocation of the very rare migrant visitor, the Bay-backed Shrike, very few sightings of this species have ever been made in Sri Lanka before this one. What a stunning bird too, it looks like a very upmarket Red-backed Shrike! I have a record shot of it here. We left the pans very happy with another fantastic and enjoyable morning behind us, we have some delightful memories to cherish and to recount time and time again. Our lunch break lasted until 2:30pm when we set off for a second jeep excursion of the day, this trip was to be our second visit to YALA National Park. We entered in a quiet gate about a 45 minute drive from the hotel. At the gate we transferred to our jeep and set off. This new route took us past a couple of man-made lakes with hundreds of dead trees standing in them, these trees provided excellent perches for birds especially raptors. 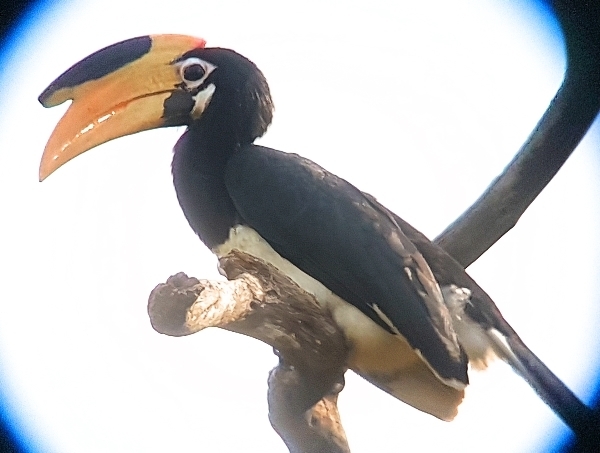 The first, much smaller lake, produced our first Lesser Adjutant Stork of the tour, what a colourful beast, the second huge pool had a dam and a series of turbine-houses produced a good selection of raptors. 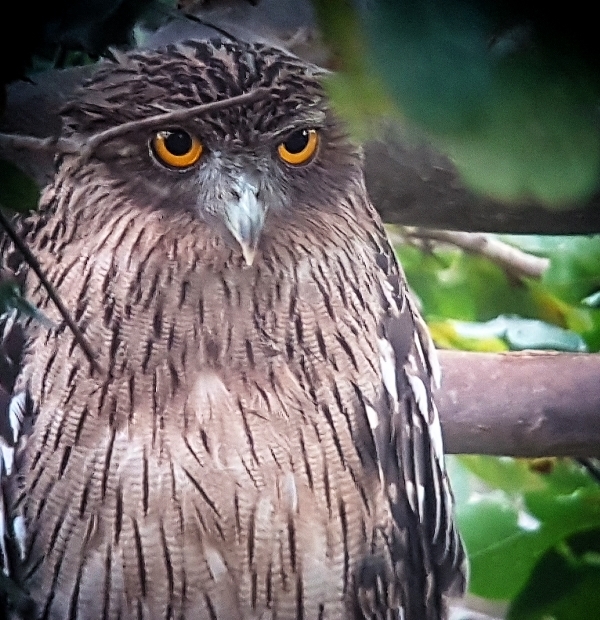 Of Osprey and Peregrine Falcon were new species for us, they were joined by Grey-headed Fish Eagle, White-bellied Sea-Eagle and several Brahminy Kites. Dozens of Little Swifts swarmed around the turbine housings. 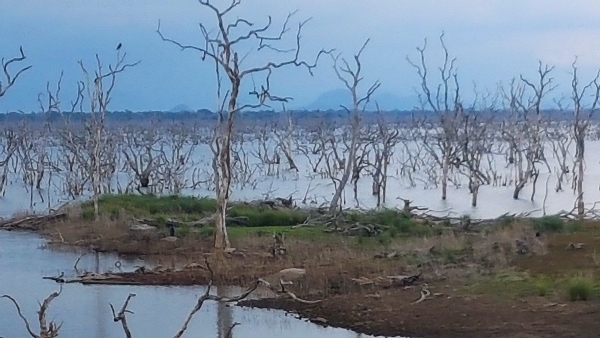 The dry-sloping side of the dam was covered in Monkeys and Peafowl and below then we could see large herds of Spotted Deer and the odd Wild Pig. As the clouds began to gather we drove alongside a canal for about 5km, it was dripping with birds. 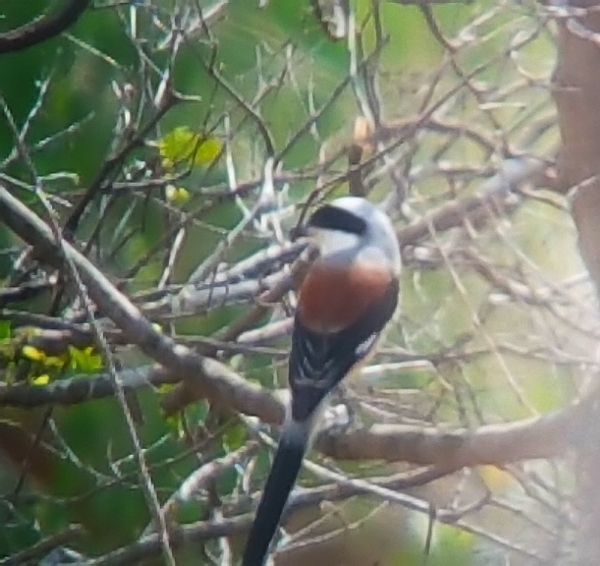 We must have seen over 20 Asian Paradise Flycatchers, also many Indian Robins, Forest Wagtails, Oriental Magpie-Robins, doves, bulbuls, shrikes and Kingfisher. It was a marvellous drive and the sightings just kept on coming, Indian Pitta, White-browed Bulbul, Brown Fish, Drongo Cuckoo and Black-headed Cuckooshrike and Barred Buttonquail. 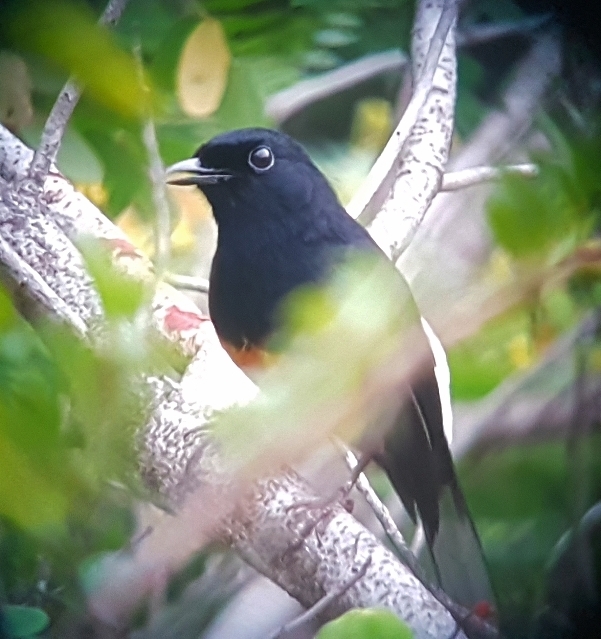 We were searching for a Rufous Woodpecker, which appeared fleetingly, when Saman found a WHITE-RUMPED SHAMA, what a stunner and such a melodious song, this bird performed so well that went straight to the top of everyone’s list. We also noted Brown-capped Babbler, Blue-faced Malkoha, Indian Blue Robin and more Flycatchers just before we left. Our timing was perfect because it poured down with rain just after we transferred from the keep into our bus. It had been another amazing day and not so tiring the temperature had been lovely. Our last day at Tissa ended with another early night.